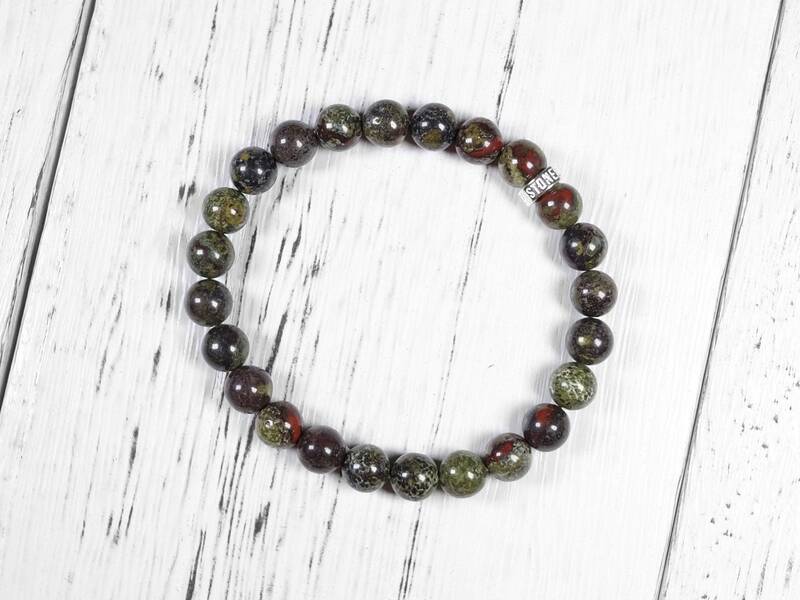 This dragon blood jasper is natural and genuine. 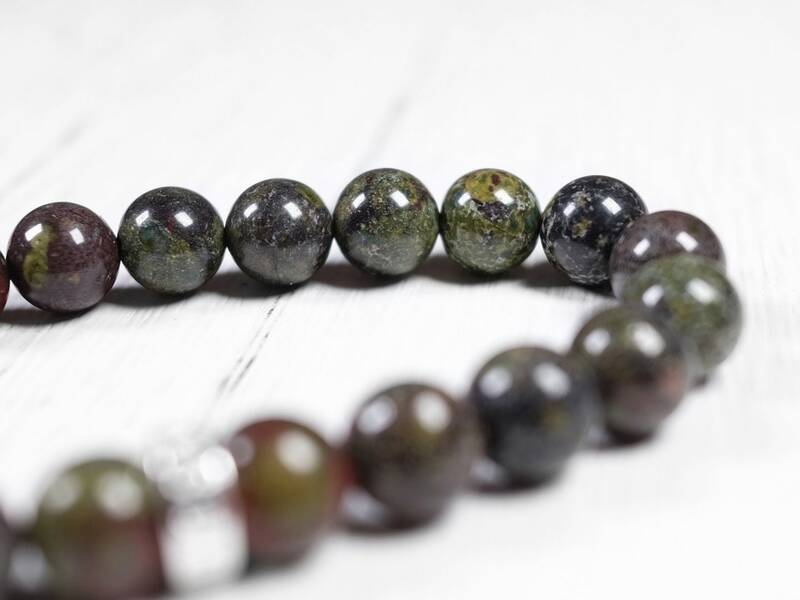 This stone has a deep fern green color with some natural color variations. 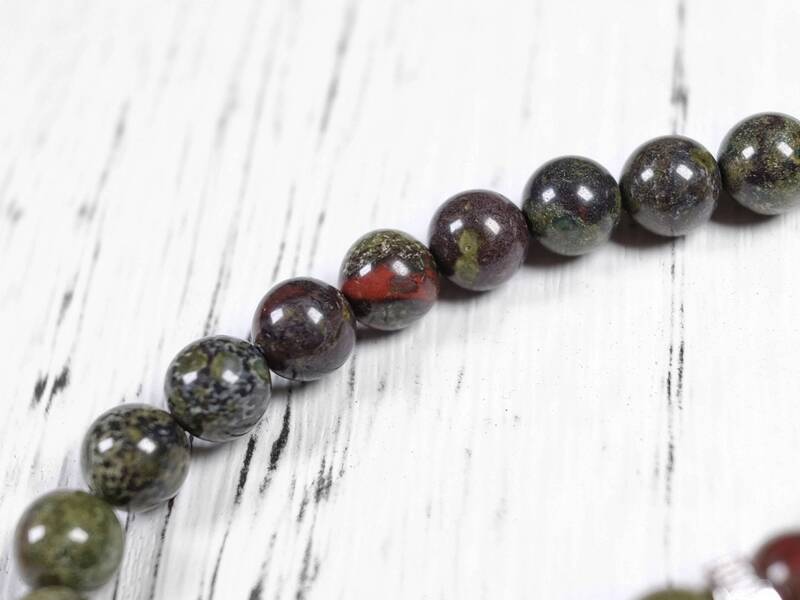 The red spots, which is caused by iron oxide, are found in some beads. 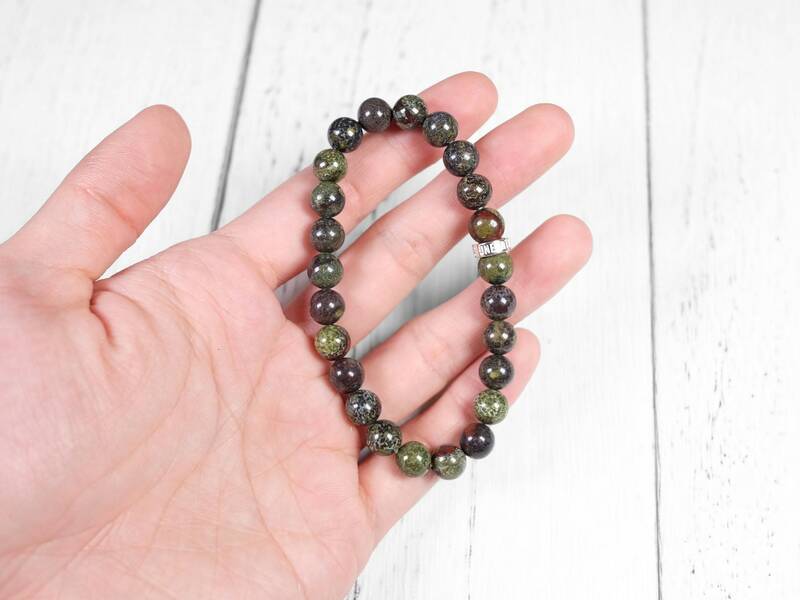 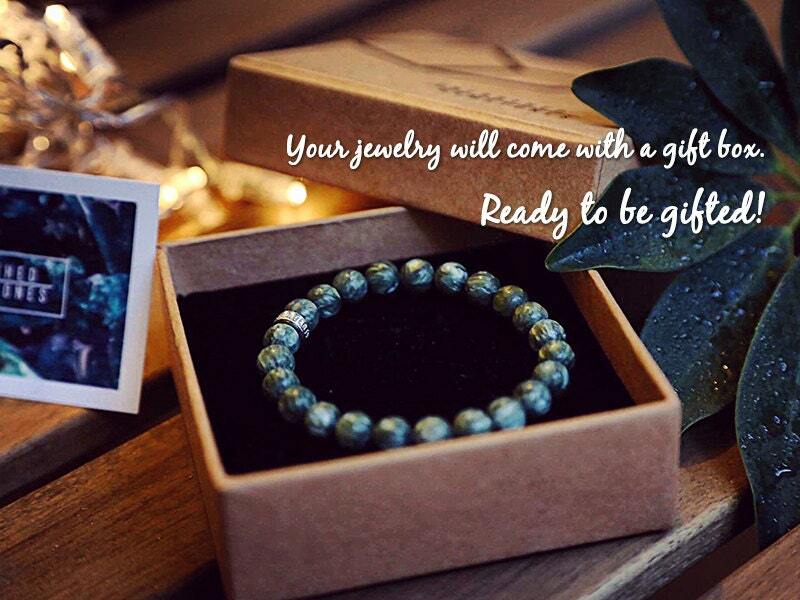 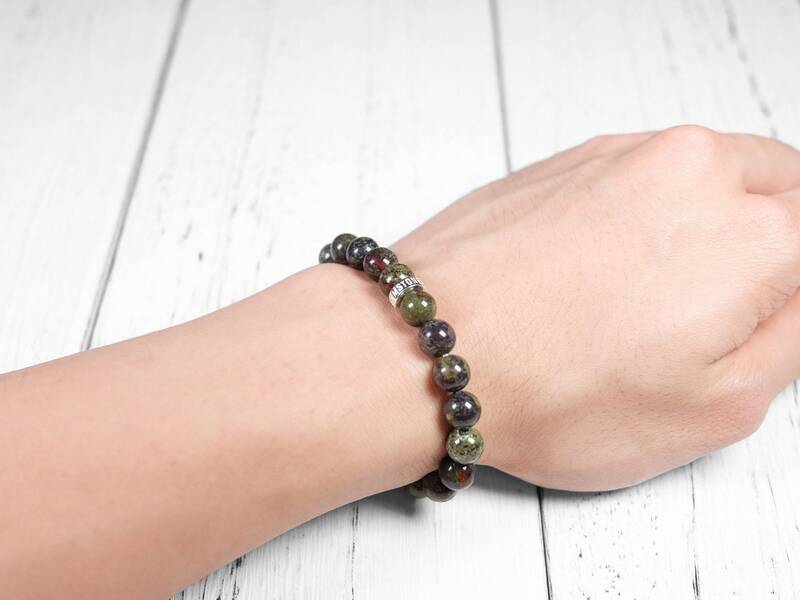 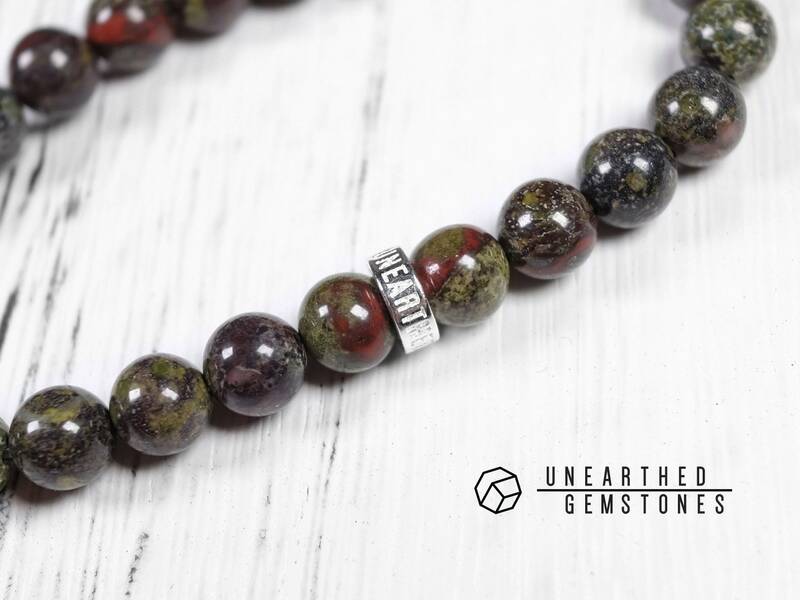 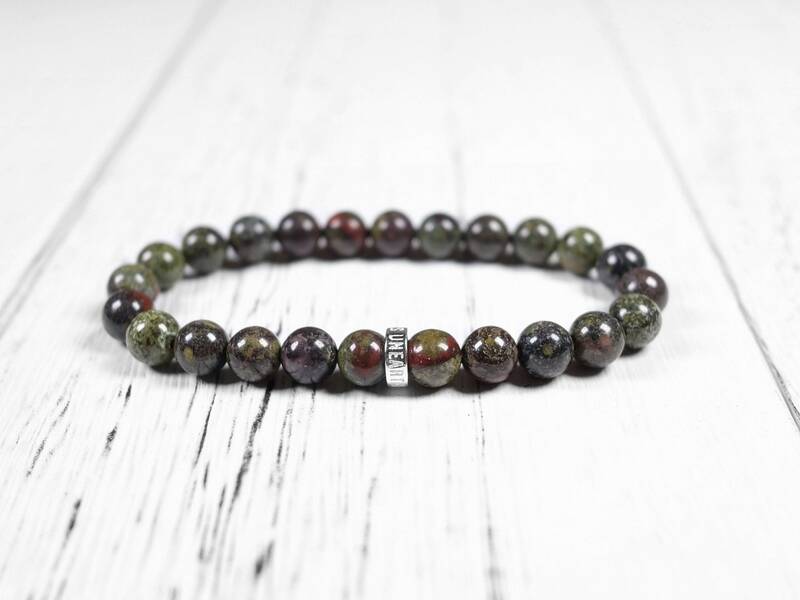 With the Unearthed Gemstones sterling silver, this bracelet is a great way to wear this forest green stone.